Samsung has been working on bringing all of its wearable devices under the Galaxy branding, something the company started off with the Galaxy Watch. Samsung is also developing new versions of the Gear Sport, IconX earbuds, and Gear Fit, and while we initially thought Samsung could launch the new Gear Sport as the Galaxy Sport, it looks like the name will actually be Galaxy Watch Active. The Galaxy Watch Active branding has been suggested by one of the staff from AllAboutSamsung.de, and it’s also hinted at by the watch’s recent FCC certification. 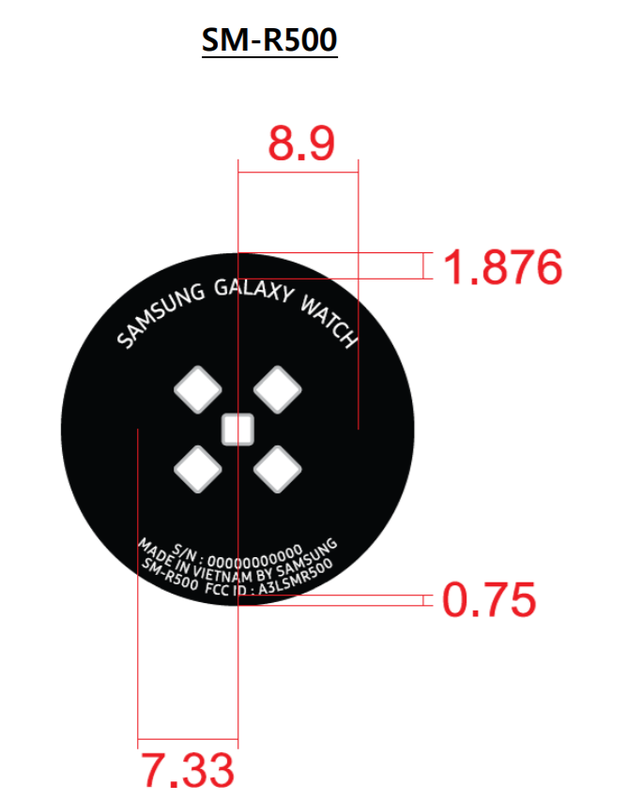 The product label in the FCC certification calls it Galaxy Watch, so it’s possible the retail name would be Galaxy Watch Active. It certainly makes sense for the company to spin off the fitness-focused Gear Sport lineup into an Active version of the flagship Galaxy Watch series, since the name Galaxy Sport wouldn’t really tell the consumer that it’s a smartwatch. Nothing can be confirmed until Samsung makes it official, though, and it’s currently unknown when any of these new wearables will be unveiled. All of them have received a certification or two that is needed for a retail launch, so the announcement may come sooner rather than later.